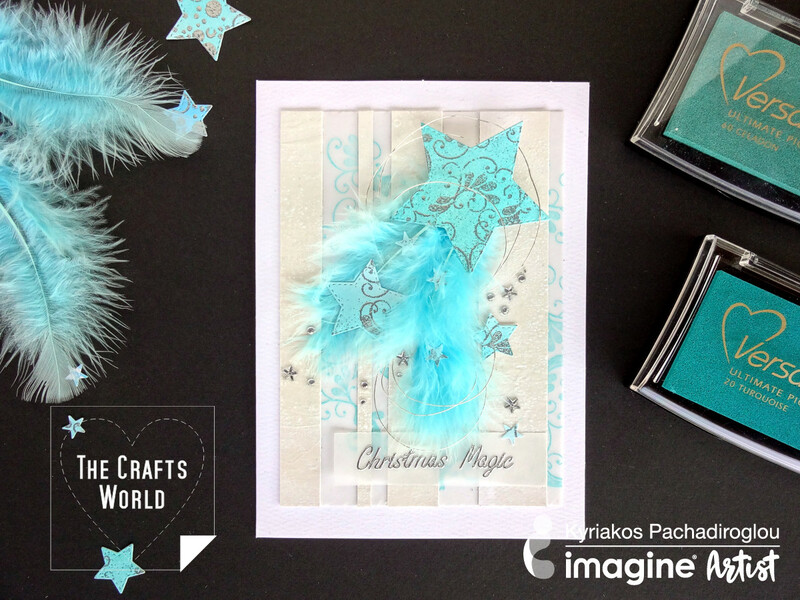 Share the magic of Christmas with silver embossed stars and feathers in turquoise color. The interchange of stripes covered with creative MEDIUM and the stamped tracing paper with VersaColor add depth to the background and give a sense of a screen. The multiple layers of the creative MEDIUM used, and then heated, create a rough texture on the paper.